This is an oval Arden Dairy porcelain sign. 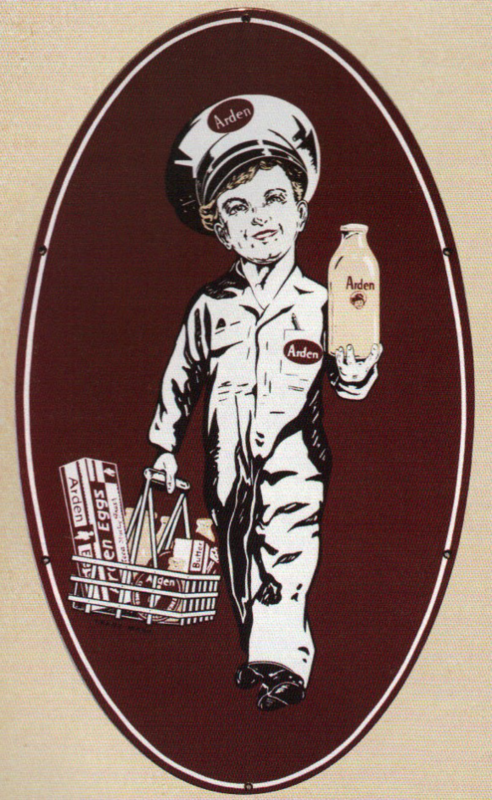 This particular Arden Dairy sign is predominantly maroon and features a white figure of a small boy dressed as a milkman carrying Arden Dairy products. It has no other text besides the Arden labels.